Toyota held on to its title as the world's most valuable car brand for the sixth year in a row while Mercedes-Benz passed BMW to finish No. 2 for the first time in the annual ranking. Tesla, meanwhile, increased its brand value 60 percent to get within striking distance of Audi. 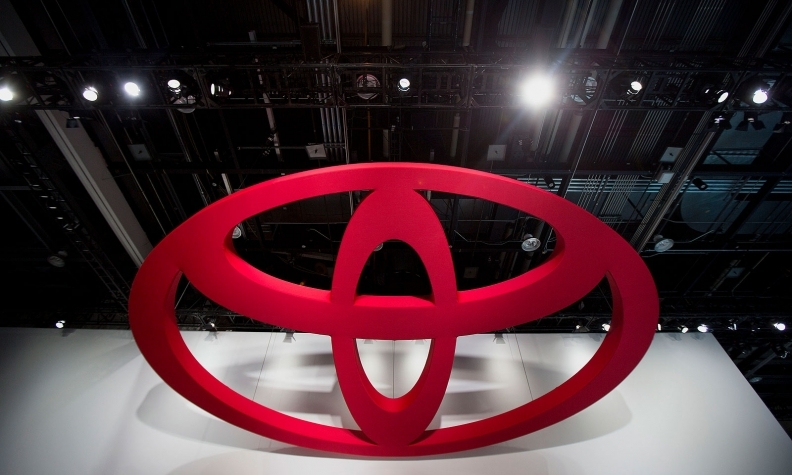 Toyota's brand value increased 5 percent to nearly $30 billion because of strong demand for its SUVs in Europe and the United States and because of the automaker’s consistency, according to the BrandZ Top 100 Most Valuable Global Brands study released by market researcher Kantar Millward Brown. "SUVs remain desirable products to those who put a high value on their safety and power," Peter Walshe, Global BrandZ director at Kantar Millward Brown, told Automotive News Europe. "Overall, the Toyota brand is incredibly reliable and represents fantastic value and quality." Toyota has been No. 1 in 11 of the 13 years the study has been carried out. In the years it wasn’t No. 1, 2010 and 2012, it finished in second place. Mercedes, which topped BMW brand in global vehicle sales in 2016 and 2017, increased its brand value 9 percent to $25.7 billion to surpass its Munich-based arch rival. BMW grew 4 percent to $25.6 billion in the brand value ranking. Mercedes’ growth was attributed to its strong performance in China, Brazil and Russia as well as the success of the new E class, Walshe said. Mercedes had finished either third or fourth since the ranking of automaker was launched in 2006. After a two-year absence, Volkswagen brand has re-entered the ranking at No. 10 with a value of roughly $6 billion, up from $5.1 billion last year. VW dropped out of the ranking in 2016 and 2017 because of backlash from its emissions scandal. In September 2015, the automaker admitted that it used a so-called defeat device in its diesels to cheat government tests to measure vehicle emissions. While the scandal cost VW billions in fines, its customers remained loyal. VW set a record with global vehicles of 6.23 million last year. Tesla, which increase its brand value to $9.4 billion in 2018 from $5.9 billion last year, maintained its place at No. 8 in the ranking. It finished just behind Audi, which had a brand value of $9.6 billion, a rise of 3 percent from 2017. Apple held on to the No. 2 spot because of a 28 percent rise in brand value to $300.6 billion. Amazon passed Microsoft to take the third spot in the overall global ranking with a 49 percent rise in brand value to $207.6 billion. Microsoft was fourth with a brand value of approximately $201 billion and Chinese tech giant Tencent rounded out the top five with a 65 percent rise in brand value to $179 billion. Last year, Tencent was No. 8 in the global ranking. The BrandZ Top 100 Most Valuable Global Brands was developed by Kantar Millward Brown. The study combines measures of brand equity based on interviews with more than 3 million consumers globally using data from Bloomberg and Kantar Worldpanel.